Rootstocks, barrels and a team of Australian winemakers have been transported to the Napa Valley to ensure Penfolds’ first Californian wines carry its distinct thumbprint. Penfolds’ winemakers Andrew Baldwin and Stephanie Dutton. The weather is pleasantly warm and the air is sweet as we board a chopper, on a morning late in October 2018, to tour the length and breadth of the Napa Valley. From on high, the vast tapestry of vineyards and surrounding areas are green with little physical evidence of the fires that struck at about the same time the previous year. To the warmer northern end of the valley we see more elevated areas where the bigger, bolder expressions of wine typically come from. 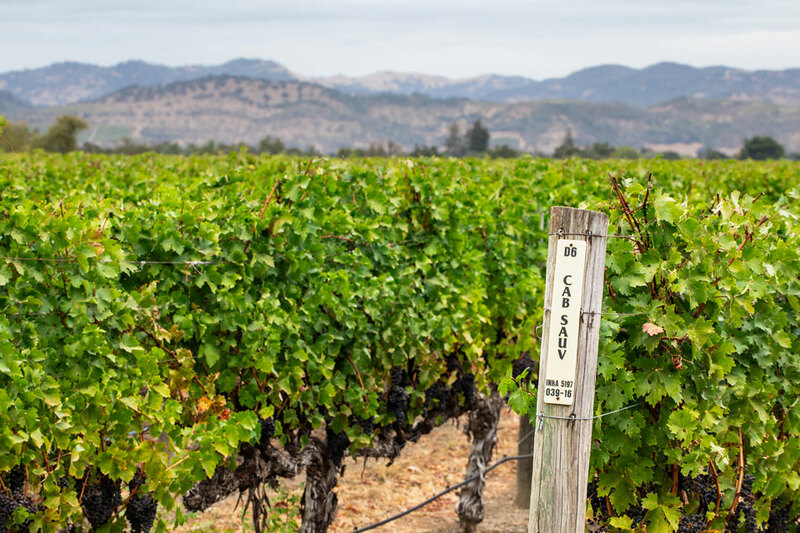 At the southern end, the vineyards are influenced by the cooling marine fogs that roll in from across the San Pablo Bay and, consequently, the resulting wines tend to be more savoury and elegant. But we are here to specifically cast an eye over the Treasury Wine Estates (TWE) holdings from where it proposes to produce a new range of wines – combining Napa provenance and Penfolds DNA. You could be forgiven for thinking Penfolds’ foray into the Napa Valley is a relatively recent initiative. But, as chief winemaker Peter Gago points out, the company dipped its toe in the water about 30 years ago. As far back as 1989, Daryl Groom, one of its senior red winemakers, was sent to learn more about Californian winemaking and to help breathe life into Geyser Peak, a winery operation Penfolds was involved in with then-owner, the late Henry Trione. A few years later, Mick Schroeter, brother of Penfolds white winemaker, Kym Schroeter, joined him. Granted, it wasn’t until a little further down the track we saw any sort of real action in the Napa when TWE acquired the Diageo vineyards in 2015 – former Penfolds’ owners Foster’s had already bought the Beringer holdings in 2000 – significantly increasing the company’s vineyard sites and winemaking facilities. Today, the company has an extensive network of vineyards throughout the valley from which to select fruit. Considering the cost of prime sites, with land now going for up to US$1 million per hectare, these are valuable assets. 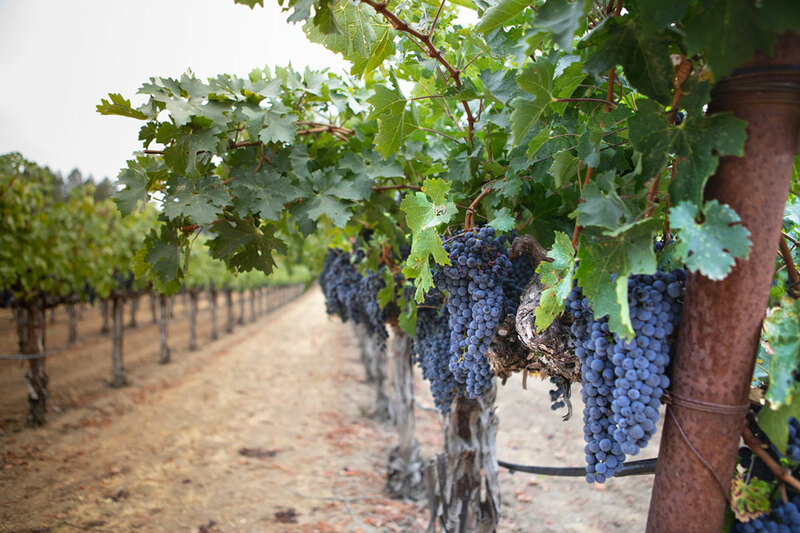 It can also source grapes from other Napa growers and even has access to a few rows of premium fruit from the hallowed To Kalon vineyard. There’s a solid Aussie team on the ground there, too. TWE’s chief winemaker in the USA Matt Johnson and Vice President, Wine Production Rachel Ashley have been based in the Napa for more than a decade now, and are as familiar with the sites and soils as the locals. More recently, Penfolds winemaker Andrew Baldwin has been based in the Napa for several months each year, and was joined by winemaker Stephanie Dutton for the 2018 vintage. They will both have spent a solid six months there before returning to Australia for the 2019 harvest, and it looks as if they will continue to juggle their time between both locations. Together, they are continuing to research soils, sites and grape varieties that have the potential to produce wines which carry the characteristics typical to Penfolds. The first release of wines will be made from the 2018 fruit, and are expected to be launched in 2022. Penfolds’ chief winemaker Peter Gago says he’d, ideally, like to lead with a flagship wine – taking the “from the top downwards approach” as was the case with Grange and subsequent wines. According to Stephanie Dutton, they have identified sites in key American Viticultural Areas including Rutherford from where (similar to Australia’s Kalimna, Moppity and Koonunga vineyards) the fruit brings generosity to the wines. Then there’s Oakville, also favoured by premium makers such as Screaming Eagle, whose grapes she says deliver “completeness and vibrancy to a blend”. Howell Mountain, with its high-altitude vines, was the region least expected to fit into Penfolds’ grand plan, but to the team’s surprise the fruit has turned out to be powerfully flavoured and richly tannic, somewhat the reverse in style to that from Australian high-altitude regions. Two Howell Mountain sites are of particular interest and both sit at about 1,800 feet (549 metres). Bancroft Ranch Vineyard on the western slope has gritty, white, infertile soil, while Steinhauer Ranch Vineyard is renowned for its volcanic red soil. “We are finding A1 grade cabernet franc and petit verdot, which we don’t get to play with in Australia, in these locations,” Dutton enthuses. According to Dutton there is a huge palette of grape options to choose from due to the variations in soil, temperature and weather throughout the valley. In less than a five-minute drive, the soil can change completely. Although the winemakers are looking for the common thread and the standard of quality they produce in Australia, they realise they must adapt to the environment. “You can’t take everything you know from Australia and apply it here,” says Dutton. “We may have to walk away from our normal methods of winemaking if they don’t work. Although there are some familiar pointers regarding harvest: the Australian harvest conditions are often reflected in the following Napa harvest. The biggest difference between places seems to be the time wine spends on skins. “We’ve brought over Penfolds’ barrels and rootstocks to ensure we get the best Penfolds DNA match as possible. We are exploring all opportunities including blends, subregional wines and single vineyard sites,” she explains. Grapes growing in TWE’s Napa Valley vineyard. Peter Gago says they will be looking at making cabernet sauvignon first, but that they are not allergic to exploring shiraz/syrah despite the grape variety not being particularly popular with local winemakers. “It might be time to reinvigorate shiraz and put it back on the map (in California),” says Gago. Although the main focus for the moment is reds, Gago doesn’t dismiss looking at chardonnay in the future. While the US may not have caught up with the Australian obsession with chardonnay yet – and the Napa whites tend to be in the more traditional style – he thinks a good Penfolds white might reignite interest. With an already packed calendar that includes traversing the globe as Penfolds ambassador and overseeing vintage in Australia, Gago will now be stretched further as he heads to Napa each October for their harvest. Then there’s the small question of the Penfolds Champagne project evolving in France. Once the sparkling winemaker of Minchinbury about 29 years ago, and renowned for his massive interest in Champagne, it is hardly surprising Gago is looking to collaborate with the French to make fizz for Penfolds. He was tasting and trialling wines in France at the end of September 2018 for the inaugural release. So, watch this space for more about the bubbles and the other new wines destined to add diversity to Penfolds’ portfolio and to future-proof the brand in the years to come. Let’s hope at least some of them reach Australian shores very soon. Judy Sarris was a guest of Penfolds during her Napa Valley trip.